PTFE spring energized seals are for low friction, dynamic reciprocating and rotary applications. The seal produces a near flat load curve when compressed (installed). They provide constant predictable loads throughout their very wide deflection range. SEA spring energizer exercises a constant pressure both on the inside and the outside of the seal. Therefore. it seals well. 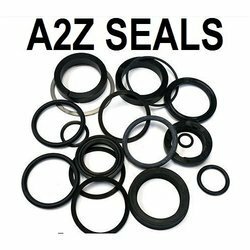 compensates for wear, and provides Increased seal life in comparison to other seal types. 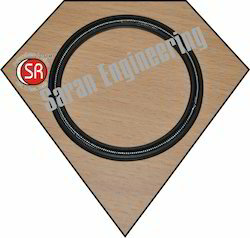 Double Jacketed Spring Energised Metal C-Ring JSI (for internal pressure) / JSE (for external pressure) is mainly used in nuclear applications. The outer jacket is made up of aluminium which is a soft layer and flows in to the groove giving very high leak tightness. Beneath the aluminium jacket lays the SS/Inconel inner lining which is supported by spring made up of SS or Nimonic 90.